This is a tribute to all women in science. Chien-Shiung Wu (1912 – 1997) was a Chinese American physicist with expertise in the techniques of experimental physics and radioactivity. Her honorary nicknames include the "First Lady of Physics", the "Chinese Marie Curie", and "Madame Wu". Wu received the first Wolf Prize in Physics in 1978 for her experimental work, while her book "Beta Decay", published in 1965, remains the standard reference for nuclear physicists. 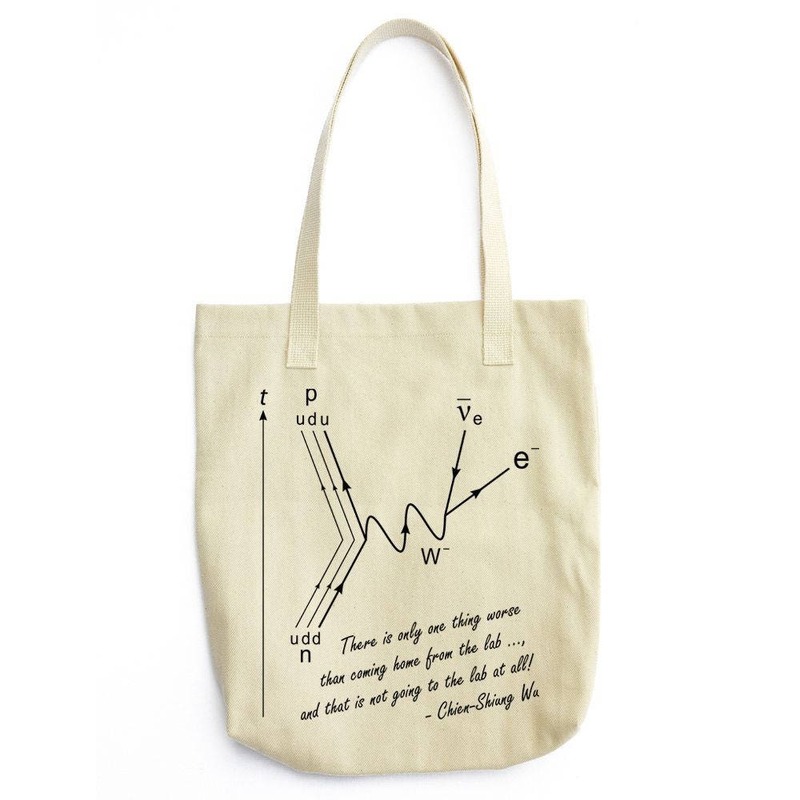 Her motivational quote blends together in this design with the Feynamn diagram of beta decay. In nuclear physics, beta decay (β decay) is a type of radioactive decay in which a beta particle (an electron or a positron) is emitted from an atomic nucleus. Beta decay is a process which allows the atom to obtain the optimal ratio of protons and neutrons. Beta decay is mediated by the weak force (source Wikipedia).